Singapore Indesign, which was first held in 2011, brings together high-end international and regional brands, as well as leading architecture and design talent to showcase revolutionary new products and ideas; all rolled up into a creatively charged, curated design event. 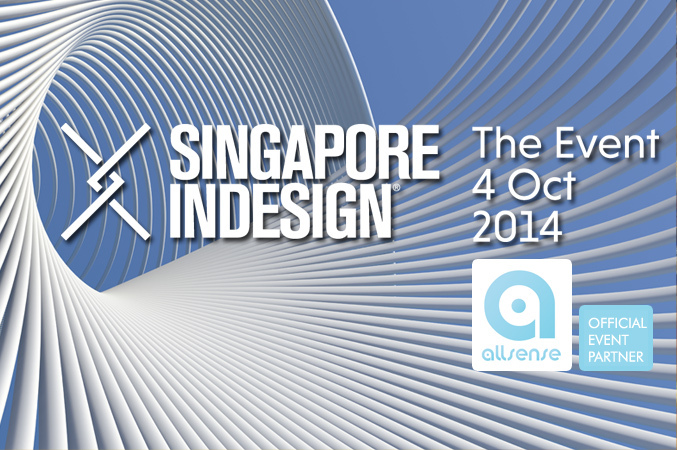 This year Singapore Indesign will take experiential design to the next level. The media conglomerate has engaged AllSense to curate a range of fragrances that will resonate with the event concept of ‘The Future’. Additionally AllSense will be heightening the appeal of key event touchpoints by engaging the architecture and design community in an immersive sensory experience that will leave no doubt as to the power of fragrance as a tool in designing the mood and sculpting emotion into the built environment. Indesign: The Event has been held annually in design centres across the Asia Pacific for over a decade. Formerly named ‘Saturday in Design’, the event was first held in Sydney in 2003, founded by Indesign Media Asia Pacific, publishers of Indesign, Habitus, Lookbox Living and Cubes magazines. It was inspired by the idea that a design event should itself be highly designed – immersive, curated and experiential. This led to Indesign’s unique non-traditional format, eschewing the regimented tradeshow hall for multiple locations across a city united by design precincts, allowing showrooms to communicate brand cultures, entertain people and showcase product in the full spotlight of their own space. It has since grown to become the most anticipated design trade event on the calendar in Sydney, Melbourne, Brisbane, Singapore and Hong Kong. In every city, Indesign: The Event is distinguished by a coming together of boutique commercial design houses, international and regional, and leading creative figures from the architecture and design industry. Showrooms and pop-up spaces around the city are transformed by product launches and conceptual installations, as well as hosting topical industry seminars, international guests, workshops, demonstrations and entertainment. AllSense is Singapore’s pre-eminent designer of ambient fragrance experiences for brands, hotels and retailers. In 2009, AllSense introduced the concept of ‘Brand Scent’ to Singapore by creating a Signature Scent for premiere shopping mall, ION Orchard. To date, AllSense continues to design and deliver compelling sensory experiences for Singapore’s leading shopping destinations, exclusive hotels and elite industry events.